On Saturday the No. 5/7 Quinnipiac Bobcats welcome the No. 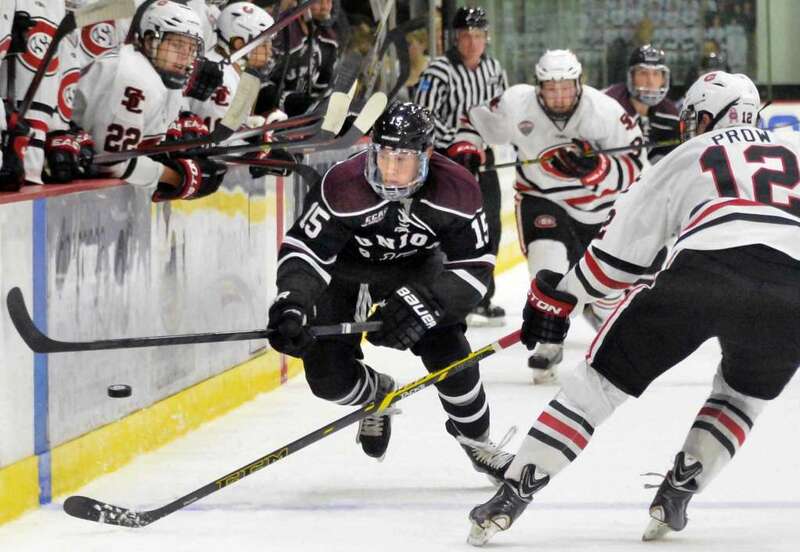 18/18 Union College Dutchmen to High Point Solutions Arena for a match up between two teams in the upper half the ECAC Hockey standings. 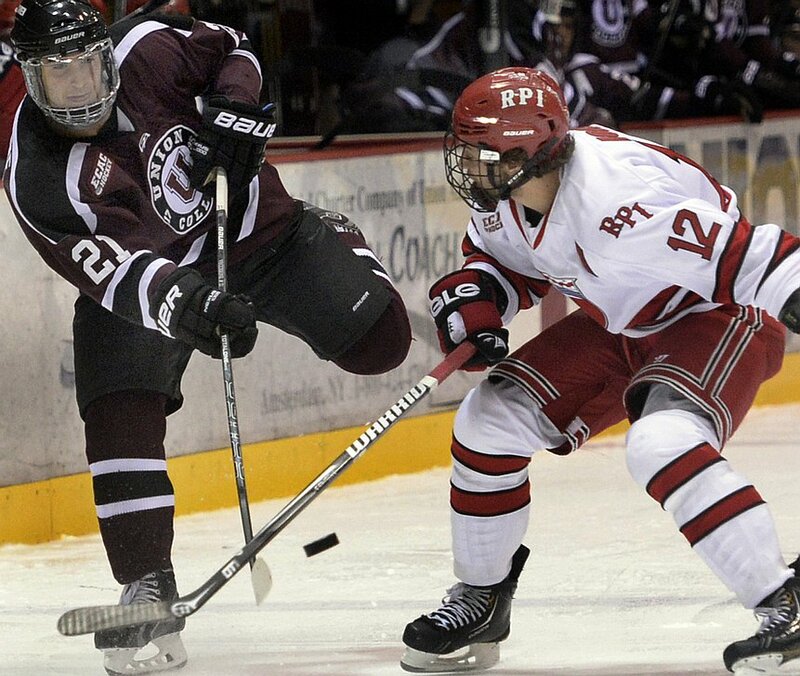 Coming into this weekend, the Dutchmen are 8-3-2 (4-1-1 ECAC) prior to Friday's game against Princeton. Union is tied for third place in the ECAC with both Clarkson and Cornell. Union is coming off back to back disappointing seasons with last year being the program's first losing season since the 2006-2007 campaign. Head coach Rick Bennett is entering his sixth season with the team and has an impressive resume to boot. He's taken the Dutchmen to two ECAC regular season titles, three ECAC tournament titles, three NCAA tournament appearances, two Frozen Fours and capped it off with a National Championship in the 2013-2014 season. This season, Bennett has the team positioned to compete for an ECAC crown and a possible return to the NCAA's. The question is whether the teams fast start is more of an illusion than a reality. They had a win on the road at now .500 Michigan and a tie at home against Saint Lawrence. Other than those two teams they haven't played anyone yet of note. Offensively, the Dutchmen are good at scoring goals hence by the 3.69 goals per game they average which is good for 7th in the nation. That ranks them second in the ECAC though behind Harvard (4.22 goals per game). However, you can say those numbers have been inflated a bit due to some of the teams they have played (AIC, Sacred Heart, RIT, Niagara, RPI and Brown). That is not exactly a murderers' row of top college hockey teams. They really also have been a one line team so far this season with Mike Vecchione, Spencer Foo and Sebastian Vidmar accounting for 65 of the Dutchmen's 130 points this year. That is fifty percent of the Dutchmen offense this year which is a staggering amount. Vecchione the senior captain, is leading the nation in scorer with 26 points (14 goals and 12 assists) with four of them coming on the power play and two shorthanded. He is a weapon on the ice and been really good in his time with the Dutchmen where he will be a priority NHL free agent after the season. Foo is another forward in the top ten in the nation in scoring with 21 points (6 goals and 15 assists). Four of his six goals have come via the power play. Vidmar is tied for 15th in the nation in scoring with 18 points (7 goals and 11 assists). They have gotten offense from senior blue liner Jeff Taylor (3 goals and 9 assists) along with a pair of sophomore forwards Brett Supinski (1 goal and 8 assists) and Cole Maier (4 goals and 2 assists). They are not a great power play team converting at just 14.44% (13-of-90) which is good for 43rd in the nation. And nine of those goals have been scored by the top three guys which shows they likely have one really good power play line. What might hurt Union is they are truly a one line team so far and they have only seen a team with a really good defense once this year in Saint Lawrence. Saturday will be another challenge for Union to show that they are more than just a one line team. The focus for the Bobcat defense should be none other than the Vecchione-Foo-Vidmar line. If they can shut them down, it forces to the Dutchmen to find offense in other places that they have not been able to tap into yet this season. One defense the Dutchmen come into this weekend a team that is in the middle of the pack in the country. They are giving up 3.08 goals per game which is tied for 37th in the country. They have a penalty kill that is in the middle third of college hockey at an 82.5% clip (47-of-57). They are not an elite shot blocking team as they average 12 blocks per game this season and in five of their thirteen games they have had single digits in blocked shots. They have a good mixture of players with size and speed but they lack higher end talent in the back end. Associate captain Jeff Taylor (2014, 7th round Pittsburgh) has played well on the blue with 12 points and is a plus 9. Junior J.C. Brassard is the only other blue liner that is a plus player (plus 5). Greg Campbell, Vas Kolias and Nick DeSimone are all solid players but need to step up a bit more for the Union defense to improve. Quinnipiac's offense has the ability to play fast against them and they must win the the fore-check game especially in the Union end and in the neutral zone. In goal the Dutchmen have given the majority of the workload to senior Alex Sakellaropoulos. He's played in the last four games for Union and is likely the starter on Saturday. On the season he has a 7-1-1 record with a 2.64 goals against average and a .906 save percentage. He's a big frame goaltender listed at 6'3 and 215 pounds so he covers a lot of the net with his size. He has had moderate success in his four years with the Dutchmen but has not really elevated his game to make a difference for Union. The backup is sophomore Jake Kupsky a 2015 7th round pick by the San Jose Sharks who has played in four games this season but none since November 1st. Quinnipiac's mission in this game has to be to play outstanding defense to shut down the top line of Union and play as the aggressor on offense. If they do that there is no reason they shouldn't come away with two points from this game, as Quinnipiac on paper has the better team and is much deeper than Union.